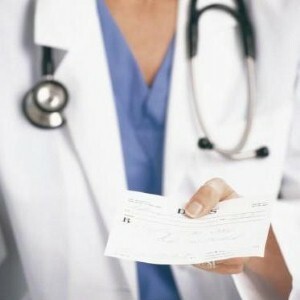 If you have ever had any sort of medical treatment done you can fully understand how expensive the bills are. Often, paying for these enormous bills can be quite a burden either with or without health insurance. Usually insurance only pays for part of the bills and the rest you have to come up with. Do not despair if you are stuck with expensive medical bills there are a couple of different methods or guidelines that you can use to help you pay off these burdens in the shortest possible time. Sit down and take a good look at how much you can afford to pay and what type of budget you can handle for paying various other bills as well. Remember to factor all of your costs, expenses and income. Your medical bills might be very high but you should not panic under the circumstances. If you panic then it will become very difficult to organise yourself and figure out a way to pay off these massive medical bills. Once you have determined the amount that you can spend from your budget for your expensive medical bills, organise yourself and make a proper plan. Basically make a list of all the people that you will have to either call or write to for some help. Set up a meeting with the hospital were you got treated and tell them that you are unable to afford the expensive medical bills. Work out some sort of payment plan with them as they would rather get something rather than nothing. Look into the various government financial aid programs that might currently exist. Do your research and look in to the possibility of getting some financial aid for your expensive medical bills. A lot of different financial aid initiatives do exits, it just becomes a matter of finding these opportunities and qualifying. You can always try to talk to your family and friends to get some help with paying your expensive medical bills. If you own your home then there is a good chance that you can talk to the bank about taking out a second mortgage. This will give you the money that you will need to help pay for your expensive medical bills. However, taking out a second mortgage is not something that you want to do during these uncertain financial times as you will increase the level of debt on yourself and instead of having to pay off expensive medical bills, you will be left with having to pay off the bank instead.